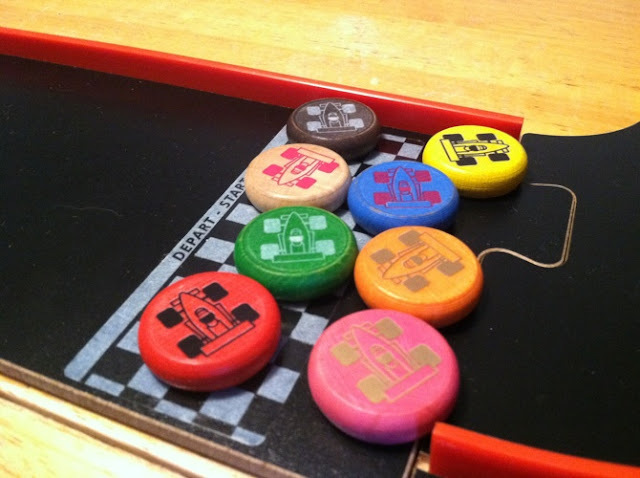 For those three of your who do not know what Pitch Car is, it is a dexterity based racing game from Ferti and distributed by Fred Games where you flick a wooden disc around a wooden track. In the box, you will find straight tracks and 90 degree turn tracks, as well as eight race car discs and a bunch of guard rails. 1. People absolutely love this game and have a fantastic time playing it for hours on end and can't say enough good about it. 2. People think it is the dumbest thing in the world and don't understand why anyone would waste their time on it. Now, this is true about many things in life, but there is usually a grey area in between the two as well. With Pitch Car, its very black and white. 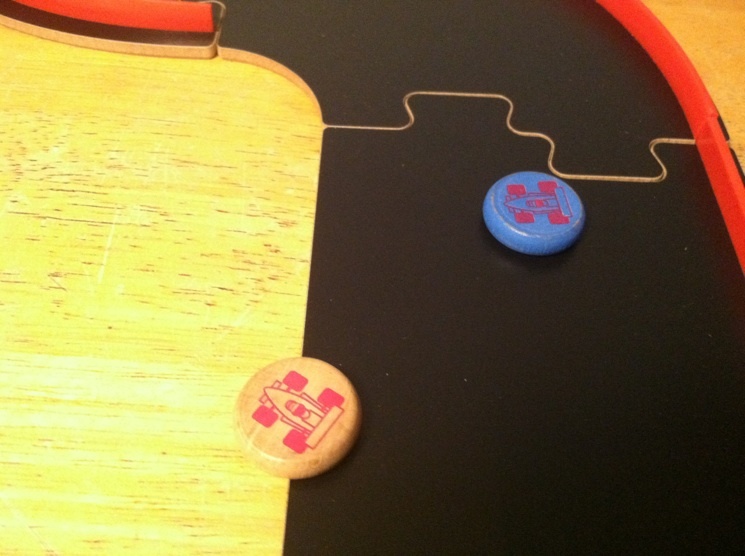 To play the game, racers will build the track using all or most of the pieces. Then, they will take turns flicking their race car around the track. First person to go around the track three times is the winner. That is the entire game. I know that there isn't much to this, and it very easily can be seen as a very dumb game concept, but when you and seven of your buddies are all standing around a raised table at 11:30 at night taking turns to find just the right shot to bounce around the leader and glide into first and then do it without flying off the track, that dumbness goes right out the window. Its simplicity lends itself to being able to focus on what matters when you're playing a game - fun. I'm not going to lie to you, there are much more complex games out there that are much more fulfilling, but for a fun time with a bunch of beers, this can't really be beat. By no means is it a brain burner that'll keep you up all night contemplating what you'll do next time when you play as Turkey, but with the right folks it can be up there as a crazy memorable and fun experience to remember for a long time. The game does have its faults however. First off, it takes up a ton of space, so playing on your kitchen table with all the of track may be difficult for some (I mean, look at our table. the track is barely on in some spots.) Similarly, even having a big enough table space may present a problem within itself. On numerous occasions, we have had to pull several tables together, and due to the puzzle piece nature of the track, not all the track will be flush, causing "speed bumps" mid track that can cause your car to change direction, fly off the track, or just stop suddenly. clearly that isn't a good thing. also along these lines is that given time and humidity, track has been known to warp, adding to this "fun". Because it is a dex based game with some serious flicking action, it can be difficult for some who may have physical dexterity limitations. Adaptations can be created/made/used, but it may not be ideal for them, but you never know til you try. 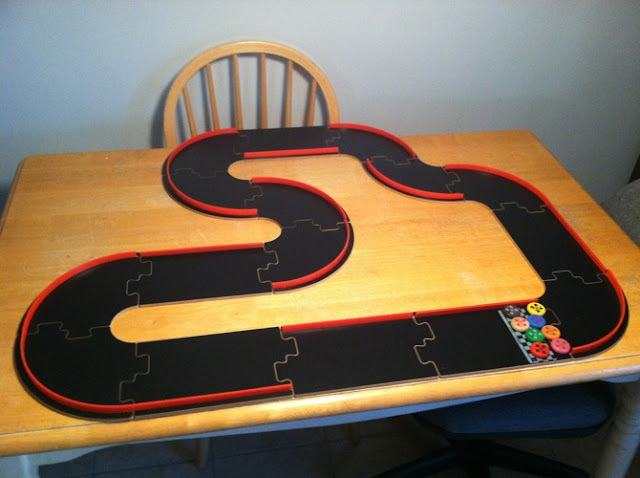 All this aside, the game is great fun with endless track design possibilities. there are also a series of expansions to the base game that add sharper turns, jumps, longer straightaways, and bottlenecks to up the technical skill needed in order to play. Recently I had a chance to play the game with all the expansions and it was pretty batshit insane and fun. 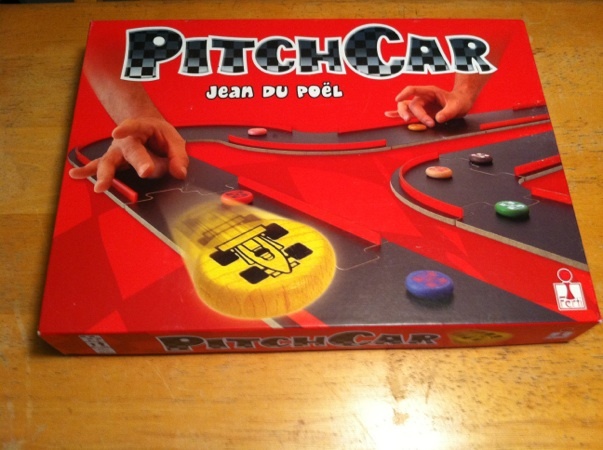 Freaking great review, and super glad I'm not ignorant of PitchCar's existence. Good to know about the warping. Sheesh $68 on amazon yikes, still want it bad. I got a copy of PitchCar a few months ago and I'm in love. 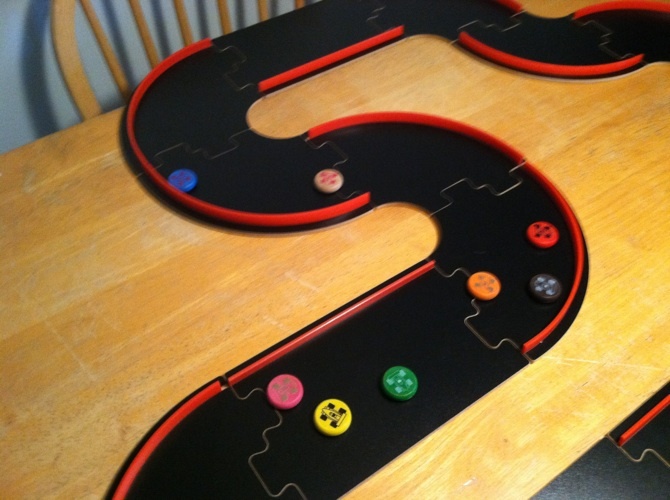 I was also able to get the StuntTrack expansion for Christmas.... now to get all the others! I'm still sad that I sold my Pitch Car mini for almost nothing. 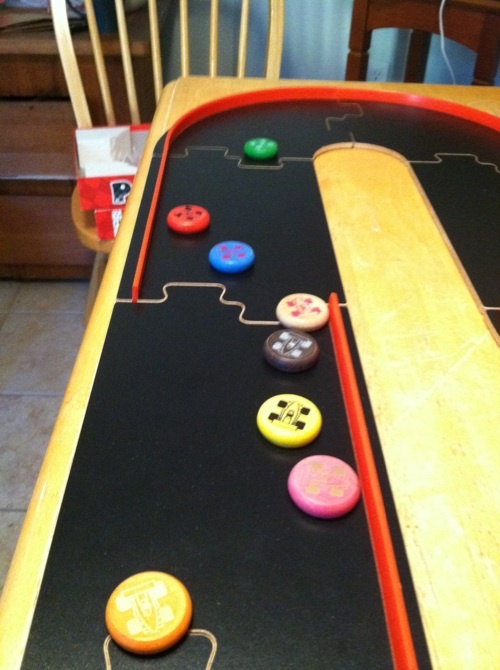 It's one of my favorite games but the uneven tracks would always throw our games off. I wonder if it's been improved in the recent re-releases.